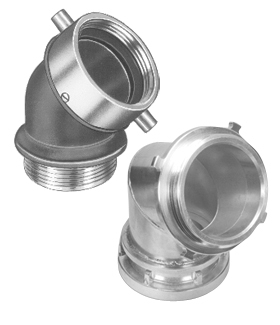 A full 45° elbow which is used at discharge of a pump, or to minimize strain on a hose. Brass elbows available in 2 1/2". Aluminum available in 2 1/2" through 4".